The Irish band, who are in their 30th year in the industry, are the latest to join the bill for the summer festival in Kinross taking place on July 12-14. They fell under the international spotlight with their debut album Isn't Anything then gained widespread acclaim for the follow-up, Loveless. 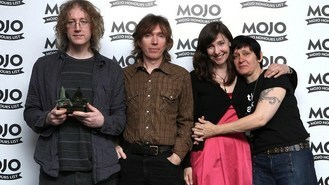 After a 22-year wait, their third album, m b v, was released in February this year on their website. It proved so popular it caused the website to crash. During their T in the Park appearance, My Bloody Valentine are expected to showcase past tracks such as You Made Me Realise and Only Shallow alongside new songs. This year's festival bill has a variety of music including R&B, folk, techno, rock and punk. Headliners announced so far for the main stage are Mumford & Sons, Rihanna and The Killers. Also performing are Kraftwerk, Stereophonics, Calvin Harris, Editors, Emeli Sande and Jake Bugg.